I don’t know about you, but I love to speculate what’s behind those doors in buildings that you never normally get to go behind. Often they’ll have a sign marked “Private” or “Keep Out”; sometimes, even more mysteriously, there is no sign, you just can’t go in. I’d been a customer at the Cambridge Arts Picturehouse for four years and had climbed the four flights of stairs from the kiosk level hundreds of times in those years, two flights to the mezzanine then two more to the entrance to the screens, but the stairs carry on past that and I’d often idly speculated what might be beyond the reach of normal man: maybe a room with a lady and one next door with a tiger, perhaps a room full of powerful supercomputers with blinking lights playing chess to hone their warmongering skills, or perhaps a backdoor to Narnia. As it turns out, it’s the offices of the Cambridge Film Trust who, among other things, organise the festival (and not, as many people seem to believe, the Picturehouse itself). It’s also the access to projection and consequently as offices and doorways go only moderately exciting – although I have heard mysterious rumours of some form of super-toilet that exists even further beyond these sacred boundaries – but there are still plenty of unexplored doorways, nooks and crannies for me to continue with my unfounded speculation. Possibly the least exciting door is an anonymous battle green door just between the ticket station and the lift on the same floor as the entrance to the screens. Behind that door, for most of the duration of the festival, reside the hard working volunteers of Take One and Bums On Seats, the unbiased critical mouthpieces of festival coverage in print and on radio, and I was giving my time to both during the festival while watching films and also trying (and failing) to keep on top of this blog. It’s a windowless room covered in the posters of past festival conquests, it has little lighting and after eight days being full of perspiring writers, it was becoming just a little oppressive. It also had acquired two extra tables after a meeting the previous day, meaning there was now only a tiny gap to walk round at the circumference of the room with a lot of unused table in the middle. The best part is the fact that, despite spending all day in what known for the festival as the writer’s room, I got relatively little actual writing done that day. I did manage to complete two Take One reviews, but I managed a grand total of six lines for this blog, which is barely even a thought in the context of my usual outpourings. The rest of the day consisted of chatting with the steady stream of other writers and festival peeps coming in for a chat or to escape the horrors of their latest film, and I’m far too easily distracted by passers-by / bright lights / doughnuts (I may have provided the doughnuts so I have only myself to blame). I also managed to squeeze some films into my hectic schedule of chatting / cooing at bright lights / eating doughnuts. I’d made an effort to get in early for this, the story of the restoration and compilation of what could turn out to be one of the most significant documentaries of the 20th century. As Allied forces began the liberation of German concentration camps in 1945, what they found was horrifying beyond words and beyond imagination, so the decision to film it cannot have been taken lightly. Nonetheless, not only was footage taken from camps including Belsen, Buchenwald, Dachau and Auschwitz, but producer Sydney Bernstein was employed to compile the footage into a documentary called “German Concentration Camps Factual Survey”, for which he enlisted the help of Alfred Hitchcock. Eventually the Americans produced a film with Billy Wilder’s involvement which was much more of a propaganda piece, and the Bernstein / Hitchcock collaboration never saw the light of day. 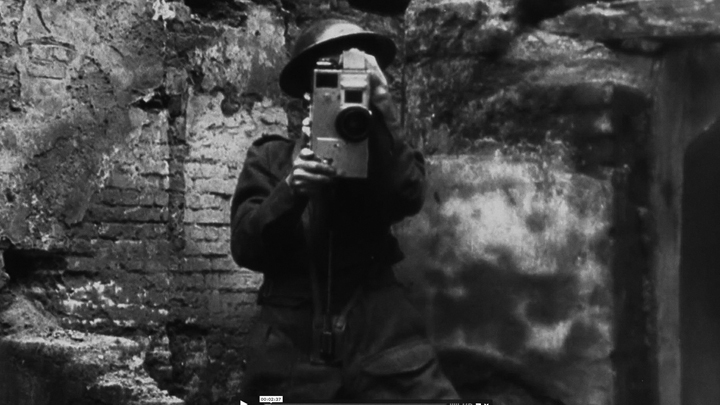 Now, nearly seventy years later, Night Will Fall also features interviews with the historians at the Imperial War Museum who have sought to finish what they started (the documentary itself is now also making its way into festivals). The original intent of the documentary wasn’t propaganda, it was to provide a permanent testament to the true horrors that had taken place, often just a few miles from built-up areas that had done their best to remain oblivious to what was happening. Watching dead bodies being carted about like rags and dumped into massive pit graves is possible the most troubling thing I’ve ever seen on a cinema screen, but there’s much more to this documentary than that. While it will be vital for the world to see the finished film – and then never to forget what it shows – to also show how the film came about, and then the reasons why it was quietly buried at the time add further important historical context. Just occasionally it feels like an extended “making of” for a DVD, but overall Night Will Fall is an immediate and devastating insight into the end of the world’s worst conflict. There’s been a strong Catalan film presence at the festival over the past few years, throwing up some little hidden gems and often shining a pervasive light on the people of the region. We All Want What’s Best For Her is very much a film of class difficulty, in this case the struggles of Geni (Nora Navas), a woman on the cusp of her forties who is slowly rehabilitating herself after a car crash a year earlier. Her family and friends want to see her back to a normal life, but can’t avoid treating her with kid gloves and don’t understand that the life she had no longer feels as if it’s the life she still wants. A chance encounter with an old friend at a group job interview stirs up old feelings, and may give her the chance to make the kind of connection with someone that she’s struggling to rekindle with her husband. We All Want What’s Best For Her could best be described as a coming of age film for the mid-life crisis generation. It’s given an interesting spin by both the Catalan backdrop, which provides a further layer of smothering tension for Geni to privately rail against, and also by the subtle way in which Navas shows the lingering effects of her accident. Director Mar Coll isn’t big on theatrics, preferring to work in gentle shades of character but her sympathies clearly lie with Geni as pretty much everyone else is shown to be at increasing odds with her. That’s not to say that Geni is by any means perfect, and it’s the character flaws and foibles that make for the most engaging moments. It’s not a drama to set pulses racing, but the last handful of scenes certainly reflect Coll’s skill in setting up our own doubt around Geni’s state of mind, and thanks to Nora Navas’ complex portrayal you’re left with a fair amount to chew over afterwards. After the screening there was a Q & A with the director Mar Coll, who I then interviewed for Take One magazine. Mar was lovely, although she had concerns in the Q & A that she wasn’t on occasions grasping the meaning of certain points (completely unfounded, as her English was brilliant), but when I approached her after the screening I discovered that my own voice was far too quick and too quiet for her to understand a word I was saying! Thankfully I put my radio voice on for the interview, and apart from one moment when I look myself down a question-based cul-de-sac where I didn’t actually know what I was trying to ask, Mar was a delightful interviewee. Last up on day 8 of the festival was the third and final film I saw in the Retro 3D season, and one that’s not quite held up as well as House Of Wax or Inferno that I saw earlier. Going hunting for further evidence of unusual fossilised remains, a group of scientists ends up being attacked on the Amazon by a living version of the very creature they’re seeking. The 3D is impeccable, as it was with the previous films, and this is a film that’s been released over the years in both the original polarised version and also the funny-coloured-glasses version, so it’s become something of a standard bearer for the medium. There are a selection of throw things in your face moments, but they’re never quite as effective and the scenery doesn’t make best use of the depth of field that 3D offers. There are a couple of other problems: while iconic, the creature itself never quite carries the threat it could or should, having a little too much of the feeling of a man in a funny suit. More than that, though, it’s the human characters that fail to retain your interest for as long as they should, with little in terms of character or development other than the stock traits they’re given at the get-go. 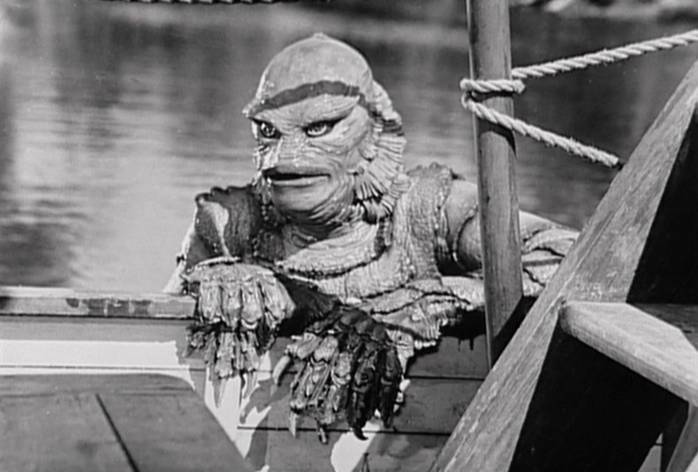 Sure, there’s fun to be had here, but I can’t quite develop the fondness for this creature that I may have done had I seen it when younger and with more innocent eyes: it may be that Creature From The Black Lagoon is just a little too innocent once the thrill of the 3D has worn off. This entry was posted in Cambridge Film Festival, Reviews and tagged 2014, Cambridge Film Festival, Creature From The Black Lagoon, film, movies, Night Will Fall, review, We All Want What's Best For Her.